When a family in a novel moves into a house that’s starting to fall down, you can bet money there’s a metaphor in there somewhere. When the novel’s title is Unsheltered, you’ve got an unambiguous statement of intent. Barbara Kingsolver’s new novel is clearly inspired by the crisis of Trump’s America, but it is also about what it might mean to live when previously trusted ideologies or economic systems are challenged to breaking point, and what might follow in their wake. In fact, Unsheltered contains not just one disintegrating house but two, built on the same plot of land in New Jersey and housing two different families 150 years apart. 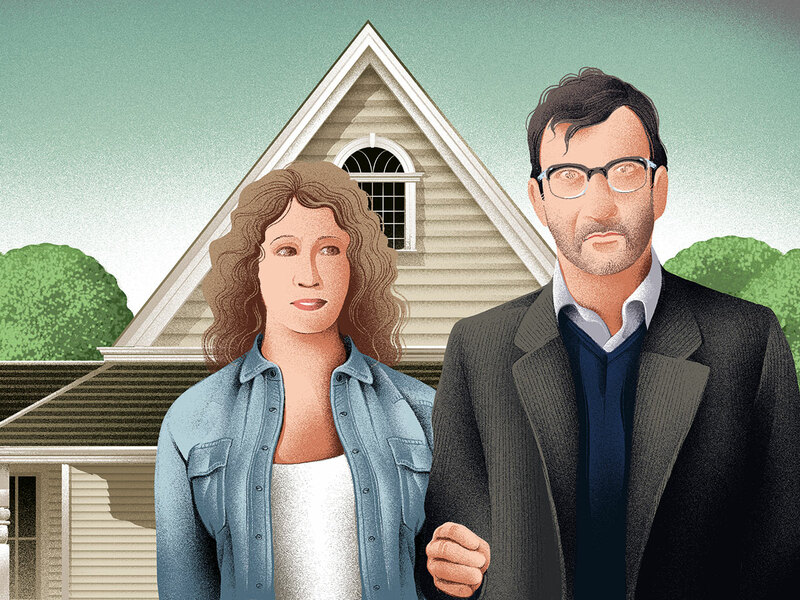 In early 2016, in the last months of Obama’s presidency, Willa Knox, a once gainfully employed, now stutteringly freelance journalist, and her academic husband, Iano, who has spent his career vainly chasing tenure, inherit a dilapidated late-19th-century house near the college where Iano has secured a 12-month contract. In 1871, another married couple also live on this land: a science teacher, Thatcher Greenwood, and his frivolous young wife, Rose, in a similarly ropy construction in Vineland, a new, purportedly utopian community founded by businessman Captain Landis. Through alternating chapters, Kingsolver deftly tracks the echoes reverberating between these two Americas. Thatcher is an advocate of Darwin and his lessons alarm and infuriate the school’s head teacher, Cutler, who, like Landis and much of Vineland, sees the world — and his special place in it — as part of God’s intended design. “Every person in history must have placed himself at the head of a Creator’s table,” muses Thatcher, on the threat to this entrenched world view that Darwin poses. “To see [for such people] that table overturned... was to witness the sky falling.” His confidante is his neighbour, Mary Treat — a real-life 19th-century scientist and correspondent of Darwin — who provides Thatcher with the intellectual solidarity his marriage does not. Cutler’s resistance to enlightened thinking has clear similarities with the willed ignorance of Donald Trump. Trump is never named, referred to by Willa instead as “this billionaire running for president”, as though before the primaries no one had heard of him (a jarring oddity in a novel otherwise scrupulous about social verisimilitude). Yet Trump’s rabble-rousing populism in the months leading up to the election is the background thrum to Willa’s and Iano’s increasingly beleaguered lives. Over a series of novels, including The Lacuna and The Poisonwood Bible, Kingsolver has proven her knack at writing highly readable novels about ordinary people caught up in the tumult of history. She could probably find a way to make the phone directory read fluently, such is the glory of her supple, flexing sentences. 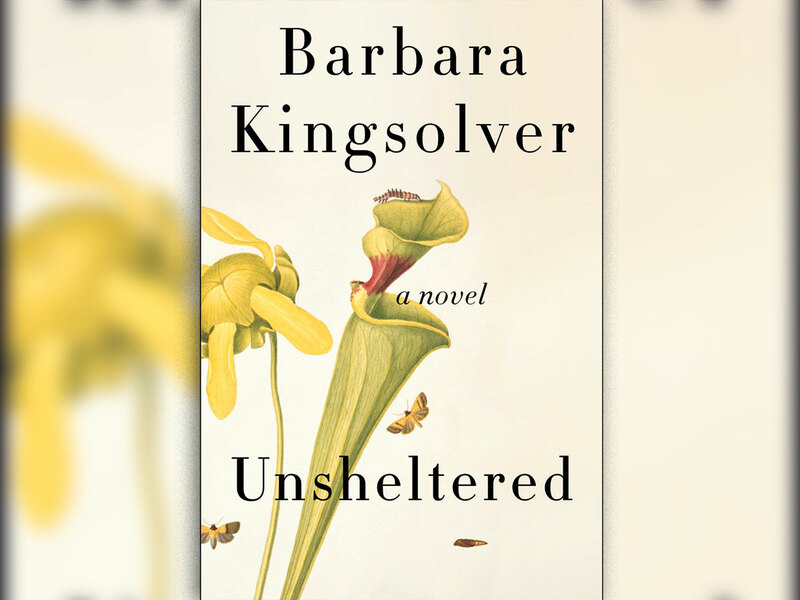 Unsheltered is sometimes thumpingly schematic, but Kingsolver mainly marshals her ideas so acutely that it matters less than it ought. But that same writerly fluency can feel too slick. The neat, hopeful resolution of Willa’s story is glibly gestural while, as a character, she rarely feels more than what Kingsolver needs her to stand for. Yet if in 1871 Thatcher’s was the voice of reason few wanted to hear, his 2016 equivalent is Willa and Iano’s anti-capitalist, environmentalist daughter, Tig. The novel’s most poignant irony is that the natural world Mary Treat cares so deeply about (we first see her lying facedown on the ground, observing ants) is barely cared about 150 years later. Thatcher and Mary believed passionately in the importance of physically immersing people in the natural world; in small but significant ways Kingsolver details our 21st-century retreat from it. On a rare walk, Willa and Iano navigate their way using the GPS on their phones.